On the other hand, human capital management practices of organizations have still not acknowledged as a reality and started to find ways to embrace AI as part of their organizations. Adopting AI systems in human capital management should be deemed by HR professionals as one of the next “big things”. This adoption is gaining momentum across the spectrum, although it is still in the early age of its full potential. Organizations should prepare for the potential of AI in their businesses. Human capital is the engine of organizations that will enable them to move forward, achieve their objectives and be part of the future. Everything is being changed and transformed rapidly. New technologies are emerging across all the industries, functions. While these changes are happening, organizations seek to lower cost and increase its productivity. How will organizations move forward with the inclusion of future based human capital management principles? It is unquestionable that, without understanding the change in the nature of work and shifts in demand for the human capital skills, there is no way for the organizations to have successful outcomes. 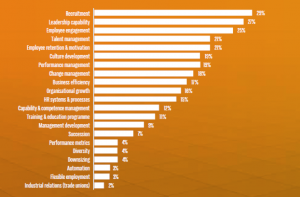 According to the survey, the top three (3) challenges and focus areas were identified by board members. These are clearly depicted as recruitment, leadership capability and employee engagement (Nash, 2018). As a result, board members have human capital professionals to find out new ways to enhance capabilities in these domains with inclusion of AI. Given the fact that other researches are mostly focused on 2018 and 2019 in terms of understanding human skills and AI exposure, there is a clear consistency with the findings of McKinsey’s framework that was shown above. Skills such as technical abilities, complex problem solving and cognitive abilities will be demanded by the human capital management of organizations. The bottom line is that organizations will need to make significant organizational changes in order to address these skill shifts to stay competitive in the market. The potential impact of AI on human capital employment has been encapsulated by many newsfeeds and articles. Hence, critics have been debating whether AI could create a possibility to substitute human capital employment. However, it is not seen easy to be witnessed for this substitution in the next couple of decades since human thinking and conscience cannot be still embraced and simulated by AI. Considering this information, exploring AI with respect to human intelligence and its full capability will be an important exercise. Are we able to understand AI and with its full capability? We see that there is no solid asset that can help us explore AI. Here, we can bring Polanyi’s Paradox, which was conceptually developed by Michael Polanyi (Polanyi, 1966), to the table. Basically, it states to that our ability to learn some activities is done through the experience of doing them, and this cannot be described by us in details. In other words, we can know more than we can tell. From Polanyi’s Paradox perspective, AI systems are yet to come close to human capital. As a result, killing this paradox in humans is still an ongoing discussion. It is for sure that, a very long time for AI is needed to entirely compete with human capital. AI offers various new capabilities for human capital management departments. 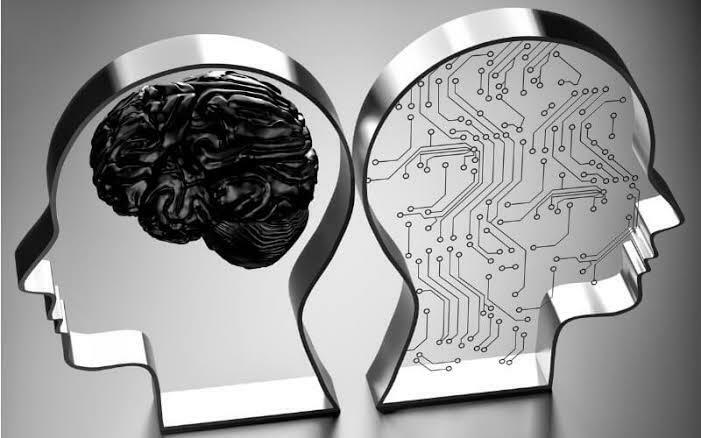 AI’s value contribution is an obvious fact which empowers human capital professionals to get rid of manual, monotonous activities and focus on work that truly create a value to organizations. At what point do human capital professionals think that AI will be embraced and reshape the HC organizations? 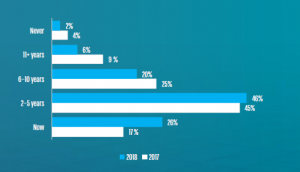 72% of HC professionals think that AI will directly impact their business and the way work is done within 5 years (Nash, 2018). Under these circumstances, HC professionals should start thinking about the “low-hanging fruits” that will support them to quickly operationalize AI efforts in their organizations. Recruiting and hiring are the most prominent human capital domains where AI could be operationalized quickly. Thiswill help organizations improve their decision-making process (Litter, 2018). Autor, D. H. (2014). Polanyi’s Paradox and the Shape of Employment Growth. Massachusetts Institute of Technology (MIT) – Department of Economics; National Bureau of Economic Research (NBER); IZA Institute of Labor Economics. Deloitte. (2018). Deloitte Global Human Capital Trends. Deloitte Insights. Litter. (2018). The Litter Annual Employer Survey. Litter. MGI. (2017). Jobs Lost, Jobs Gained: What The Future of Work Will Mean for Jobs, Skills, and Wages. McKinsey Global Institute. MGI. (2018). Skill Shift: Automation and The Future of The Workforce. McKinsey Global Institute. Nash, H. (2018). Harvey Nash HR Survey. Harvey Nash. Polanyi, M. (1966). Tacit Dimension . London : Routledge & Kegan Paul.